Chanakya Auditorium of National Institute of Defence Estates Management was inaugurated on 22nd March 2018 by Dr. Subhash Bhamre, Hon’ ble Raksha Rajya Mantri. 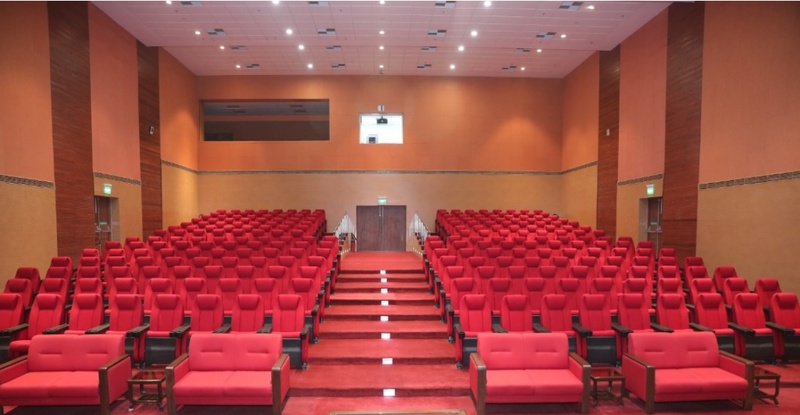 The auditorium with 284 seats capacity is equipped with State of art devices including Computerized Projection System, Sound Amplifiers and Lighting System to enhance the viewing experience of the audience. The auditorium is capable of holding Public functions, lectures and training programmes of larger participants and is enabling NIDEM to organize training programmes on a larger scale. Chanakya Auditorium is available for holding functions / training sessions of other Government Bodies, PSU and Educational Institutes on payment of prescribed fees.